If you make it in bite-size then you could eat it in one go :) Thanks for coming, Rosa. Beautiful dessert and presentation! Amazing colors and depth of the photos just perfect! Have a lovely weekend! Have a nice weekend to you too, Yelena ! 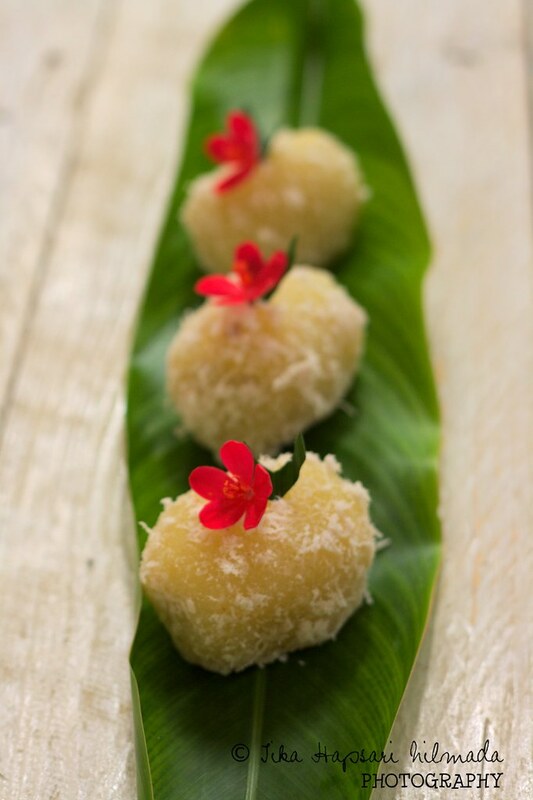 Hehehe...ini kue kampung. Tapi enak buat ngemil dan gampang juga bikinnya. 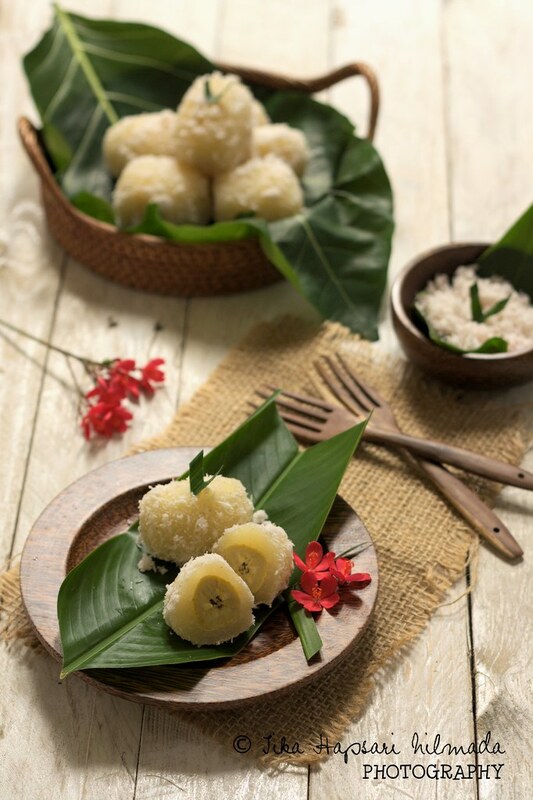 I'm afraid cassava and tapioca are two different things. 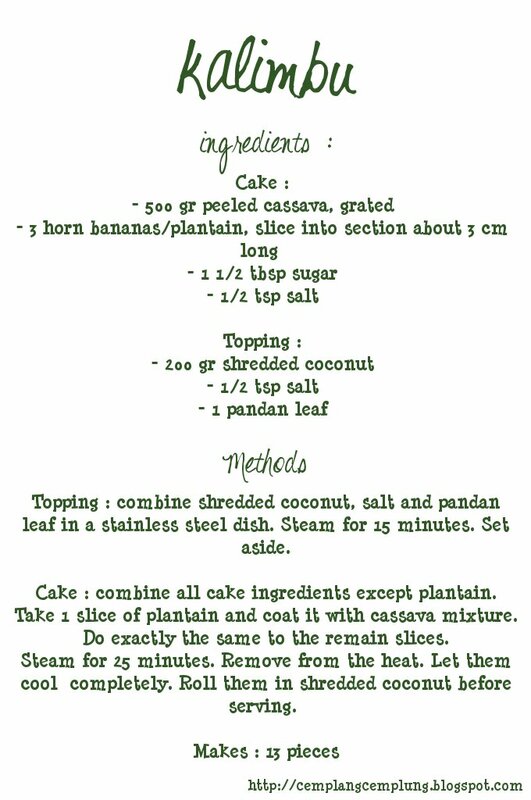 I used cassava root for this recipe. 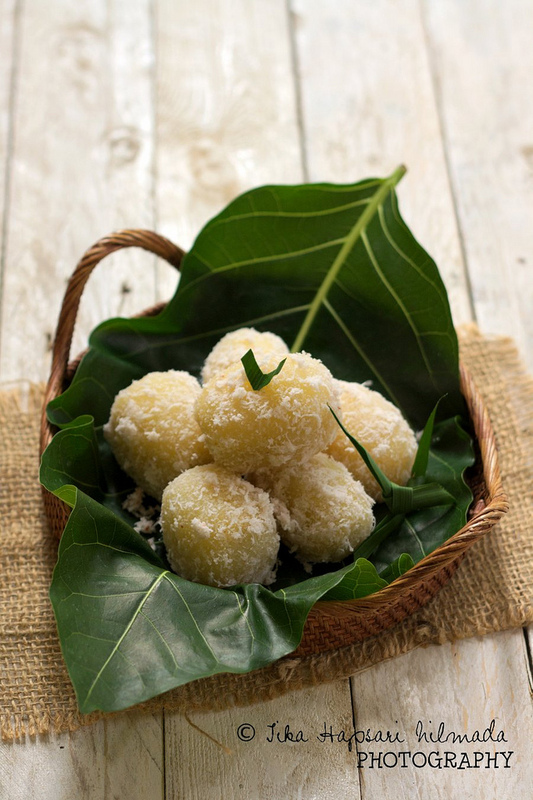 While tapioca is starch derived from cassava. Let me know if you have something in mind about this recipe :) Good luck ! I have submitted my entry for the DGMBLIT contest. Please let me know if you have received it. Such an interesting treat! You make it look so easy to make but I am sure I will not be able to it so neatly like you did. How unique! 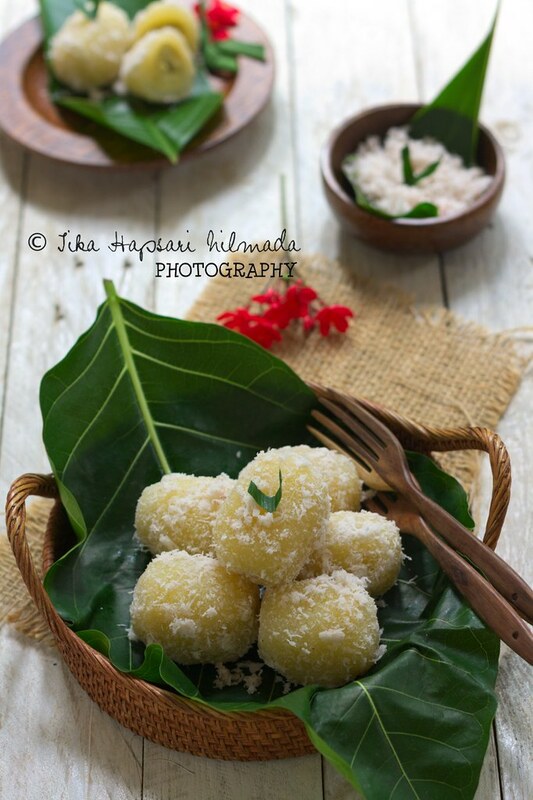 I have cooked with tapioca but have never tried cassava and have not even heard of fermented cassava :) Would love a taste! Would be glad if you can try some cassava or fermented cassava. Hi TIka, I submitted my entry for DMBGIT but can't see my entry in the gallery? Did you get my email yesterday? Sorry for the delay, Jehanne. My life recently is only in the hospital. My dad had a heart attack and needed a surgery. I've uploaded your photo to the gallery. You're creative and talented as well. I'd never thought it would be possible to a banana inside. Thanks for sharing. 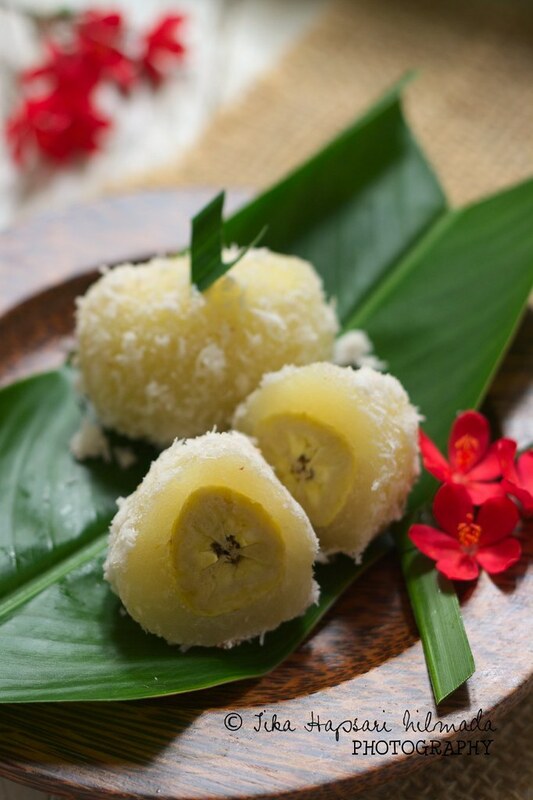 In Indonesia, banana is a common fruit for traditional cake filling. :) Thanks for coming.